My daughters were supposed to be brushing their teeth and getting ready for bed. Instead, they were ransacking the bookshelf. The youngest, Hannah, cried while Laura murmured words of comfort. As I approached the doorway, the words “She won’t forget. It’s a tradition” stopped me in my tracks. Although the “she” must mean me, I could not imagine what tradition Laura expected me to remember. I silently cursed Laura’s second-grade teacher. Traditions were a big focus of her family heritage unit each year. With two older children, it was a project I had come to dread. Many families could trace their lineage back to Germany or Sweden, Japan or Africa. Their children made cute little cutouts, decked out in cultural regalia. Presentations involved tea ceremonies and recipes for Wiener schnitzel. My ancestors had not kept track of lineage. And, as for tradition . . . well, did watching football and eating turkey on Thanksgiving count? Luckily, my husband’s family is English and Irish. They have whole books on their family history. So far, our children always survived the heritage unit, even if their family trees were a bit lopsided. Laura’s comment about traditions must have meant the cursed unit was upon us. What tradition could be relevant at 8:30 on a school night? The beginning of February didn’t exactly call for Easter eggs or a candlelit Mass. It wasn’t anyone’s birthday. Sparklers were reserved for July; costumes for October. I still had a few weeks until Valentine’s Day. By the time I entered Hannah’s room, the girls were cuddled together in bed. They scooted over to make room for me. Hannah’s gap-toothed grin accentuated the air of expectation. “Ready, Momma?” Laura asked. Just as I was about to break down and admit that I apparently had forgotten some vital family tradition, Katie ran in and plopped a book on my lap: “The Real Story of the Tooth Fairy.” In her other hand she held a lace-pocketed pillow. “You can use mine, Hannah. Mommy’s still working on yours.” She gave a grown-up wink, indicating she knew that I hadn’t even bought the fabric yet. After tucking Hannah’s tooth into its little pink pocket, Katie snuggled in with us. I gave her a special hug. At 14, she is already aware of something I hadn’t realized: Tradition is not always spelled with a capital T. It’s the little things, quirky family rituals, that mean the most — not just to children, but to us all. The next day, I brought up the subject over breakfast, asking the children what other traditions we had. They all shouted ideas at once. “Dad’s haunted trail.” This from our teenage son, Chris. The list grew and grew. Christmas stories with Dad, gingerbread with Grandma, Frisbee golf with Uncle Jerry. Snow cream and snowball fights with one grandpa, putt-putt with the other. 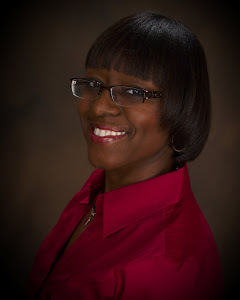 As they named all of the ways our family stayed close, I realized many of the traditions had been initiated not by me or my husband, but by one of the children. It was Katie who suggested last Thanksgiving that we create small gift boxes out of wood for each family member. In them we put little notes praising each other for our contributions to the family. In kindergarten our son, Chris, told us about St. Nicholas. If it weren’t for his enthusiasm, we would never have known to leave our shoes on the stairwell each Dec. 6, so St. Nick could fill them with treats. Laura’s tradition involves planting a tree each Arbor Day. That, and sneaking Nana’s cream wafers faster than they come out of the oven. Hannah, young as she is, has already influenced our family to put “kissy lips” on all the mirrors every Valentine’s Day. If tradition is the glue that binds families, we’ve concocted our own adhesive out of flour and water, so that we are the sum of the little moments we create together. And while Tooth Fairy pillows and kissy lips may not be as exotic as tea ceremonies and Wiener schnitzel, they define our family better than any hand-me-down ritual. Title: What Does the Tooth Fairy Do with Our Teeth? Ask your children what your family’s traditions are? Surprised by their answers? Do you remember the little Valentine conversation candies? They had messages such as – I Love You, Be Mine and Kiss Me. This Valentine’s Day you can have fun messages such as those found on candy hearts. Below are 7 fun activities to try with your family. Of course reading can be incorporated into each activity. 1. Heart shaped notes – help your child cut out heart shapes and write messages on them. He could hide a note the day before Valentine’s Day for a sibling or parent to find. A lunch box is one location for a hidden note. 2. Family scavenger hunt – hide heart shaped notes with clues, around the house. Have the final note lead to a special Valentine treat. 3. Read a Valentine story – read a story and a scene from the story (use an animated voice). 4. Make Valentine Play dough – make a batch of white dough and add food coloring or liquid watercolors of your choosing. Click here for a play dough recipe. Don’t forget the heart shaped cookie cutters. 5. Musical Hearts – create a game of musical hearts by cutting heart shapes; number each heart, then place them in a circle on the floor. Write a set of numbers on smaller heart shapes (equal to the number of hearts on your circle. Start the music playing, then stop it at random intervals. Use the smaller hearts with numbers to call a number at random when the music stops. The number called is the winner. 6. Conversation hearts craft – glue conversation hearts to a heart shaped piece of paper. Glue them in a heart shape or create some other design. 7. Valentine message in a bottle – decorate a clear plastic bottle with peel off valentine shapes. Help your child write a message to roll up and slip into the bottle. Tie a ribbon around the neck of the bottle. After your activities are complete, sit down and enjoy a good Valentine’s Day book. 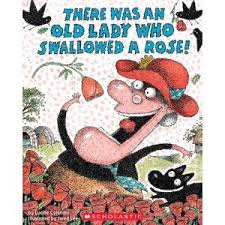 If you’ve read, There Was An Old Lady Who Swallowed A Fly, you must read There Was An Old Lady Who Swallowed A Rose by Lucille Colandro. Title: There Was An Old Lady Who Swallowed A Rose! The old lady not only swallowed a rose, but some lace, glitter, candy and other stuff. As you near the end of the story you discover why she swallowed the rose and how everything fits together. 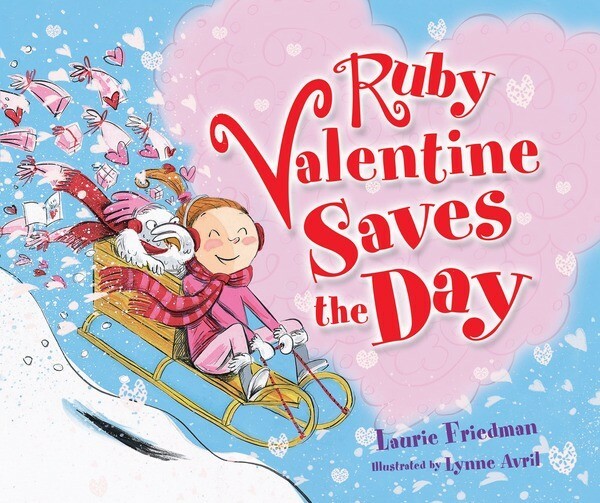 Another picture book that I had fun reading was Ruby Valentine Saves the Day by Laurie Friedman. Colorful pictures and clever rhyme brought this story to life. Do you have a favorite Valentine’s Day story or activity?